The Ranchero is a little confounding. Design wise it’s like the love child of a station wagon and a pick-up truck and yet it’s really cool. Add in that fact that the 68-69 GT model boasted a big boy engine and the Ranchero earns its spot on this blog. Let’s start under the hood. 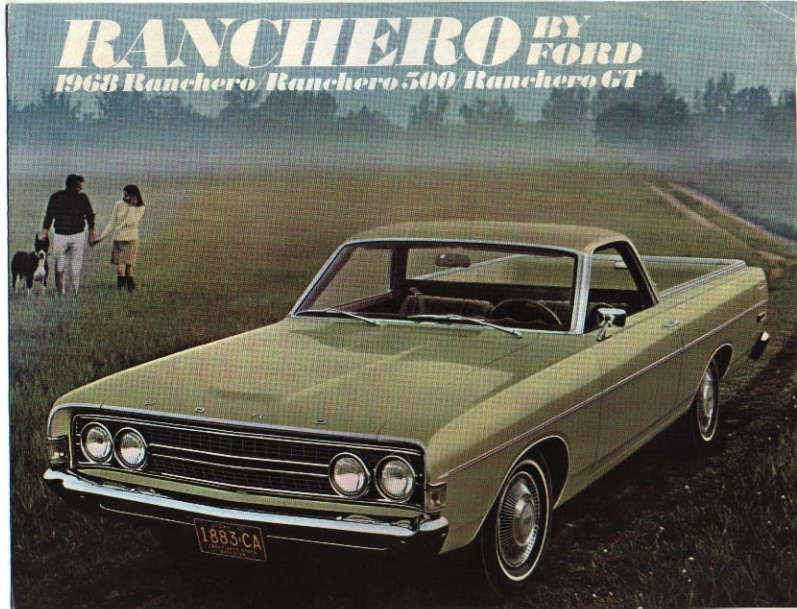 The Ranchero had several engines options beginning with the standard 250 cubic inch l6 and ending with the monster 428 cubic inch Cobra Jet V8. The Cobra Jet was the largest engine offered in the Ranchero to-date and pumped out a ridiculous 335 horse power during chassis dyno testing and a true output of 410 on models with unrestricted cold air induction. The design changes were slight in ’69; a flatter three-piece grille less the horizontal crossbar and Ford crest, relocation of GT grille badging from the crest to the lower right corner of the grille. There were plenty of bells and whistles offered such as bucket seats, air-conditioning and a vinyl top. If you are looking for a rare Ranchero muscle car restoration project you might want to look for the Rio Grande model. Only available on special order the Rio Grande was a GT in the special color themes of wimbledon white, poppy red or calypso coral. Production figures aren’t exact, but there may have been less than 1000 of these on the road.